Douglas is a partner whose practice is primarily focused on representing clients in disputes related to construction and other matters related to real estate. He is board certified in Business Litigation, representing owners, contractors and developers in a broad range of disputes ranging from complex multi-party construction and real estate matters to title disputes. As part of this practice, Douglas represents his clients in land use and regulatory matters related to construction and land use. In addition, Douglas has extensive experience representing clients in other areas such as the solid waste and recovered material service and contract disputes. This representation has included success in numerous matters and courts across the state, including administrative matters and arbitration forums. 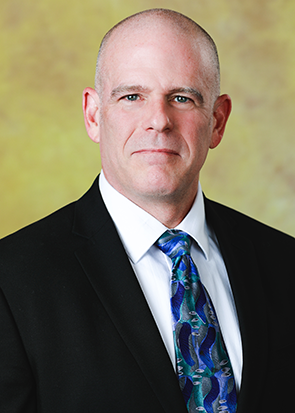 Douglas does not limit his representation to trial level matters and has experience following up his representation in the appellate court as well as extensive experience in post judgment collections including replevin, garnishment and similar actions. Brevard County v. Pinter, CASE NO. 97-2022, COURT OF APPEAL OF FLORIDA, FIFTH DISTRICT, 717 So. 2d 575; 1998 Fla. App. LEXIS 10391; 23 Fla. L. Weekly D 1926, August 14, 1998, Opinion Filed, Rehearing Denied September 23, 1998. Released for Publication October 12, 1998. Burr Alert: Florida Statute 95.11(3)(C) Has Been Amended to Address the Ruling in Cypress Fairway Condo. V. Bergeron Constr. Co.
Burr Alert: Is Arbitration Just a Click Away? Construction Executive Risk Management: Judgment Liens: What Is Left When a Business Loses Its Construction Lien Rights?